Over the last 17 years we have tried and tested a lot of projects in the communities we support in Kenya. We have worked with individuals, schools, local governments and other NGOs to learn where the need is most and where we are best placed to provide solutions. We are very excited to be launching our 2019-2021 strategic plan in January 2019 which will outline our plans for the years ahead. We will be focusing on the following three areas. In Kenya, 1 in 5 young people aged 15-24 years who are available and seeking employment are currently unemployed. Young people who are unemployed are often exposed to high risk situations including early marriage, prostitution, criminal activity and extreme poverty. 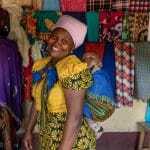 Our vocational training centres provide skills training in a range of areas including fashion and dressmaking, mechanics and hair and beauty. We also support our young people with personal guidance, counselling and business support so they are fully able to enter the world of work and secure their futures. Across Kenya, there is a culture stigma and discrimination against children with disabilities. Disabled children rarely attend school, many are hidden from public view at home or in some very sad cases, neglected and abused. We work closely with two specialist schools to provide specialist education, physical therapies, nutrition and personal care support to children with complex physical and educational disabilities. The families we work with in Kenya know exactly what they need to be able to support themselves and their children, it’s our role to help them make it happen. We work with families to build sustainable futures that mean households can generate regular income to provide for basic needs such as nutritious food, clean water, education and medical costs.